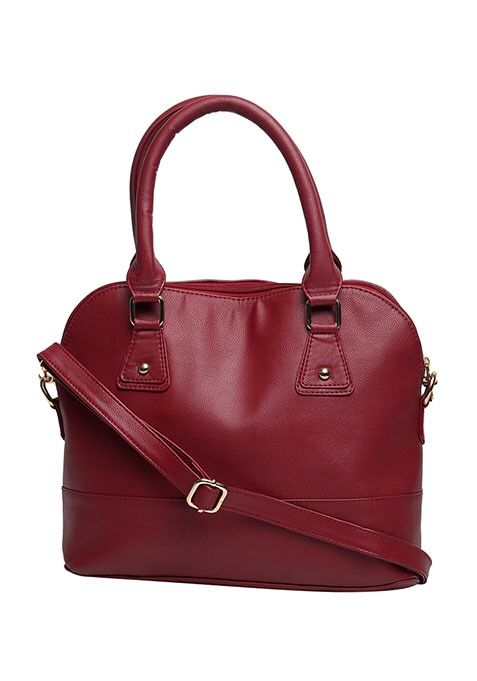 Supremely classic full-bodied burgundy hued faux leather tote bag featuring gold tone hardware and a front pocket. Twin grab handles and top zip closure. Work It - Looks great with a printed blouse and tailored pants at the office.